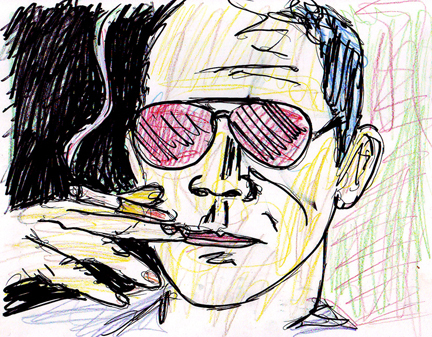 This is the sketch for the painting of Hunter S. Thompson. The painting will have collage on either side of his head in the blank areas. the rest will be paint and ink.